The International Reciprocal Trade Association (IRTA) has launched their statistics gathering effort to determine valid and reliable barter industry statistics. This information is increasingly important as business communities, media, governments, and financial industries around the world continue to take notice of our industry. IRTA is called upon regularly to give interested parties information about the barter industry such as size of the industry, average annual growth rate of barter, number of clients that engage in barter, etc. It is important that we produce valid and reliable information. To do so, we need your help! IRTA has contracted with Lewis and Clark Research to collect the responses, analyze the data and produce a report of findings, so information about your specific company will be kept confidential. The questionnaire should take no more than 10 minutes to complete. If you have any questions about this survey, please contact Krista Vardabash at 585-424-2940. For technical assistance with the survey, please contact help@readersurvey.com. Thank you for your assistance in this important industry project. The time you spend in generating the information will be to your benefit and the benefit of the entire barter industry. Ed Barrantes has been named president of BXI, replacing John Cooper, who is moving on to pursue other interests. Barrantes is a member of the Board of Directors of BXI, and will serve in the capacity of president until a replacement for Cooper is found. Barrantes will continue to serve as Chief Financial Officer of BXI’s parent company, The Intagio Group, during this interim appointment. Additionally, Jay Greene has accepted the position of Vice President and General Manager of BXI on an interim basis. Greene is presently an independent contractor (Area Director) of BXI in New England, and will continue to serve in that capacity during this appointment. BXI plans to immediately launch a search to permanently fill the position of president of the company, and anticipates the search could last for up to six months. During this period Greene will be charged with aggressively pursuing a number of initiatives to improve BXI operations. BXI, headquartered in Pasadena (CA), was founded in 1960 and provides trading services to more than 12,000 active members of BXI. For more information on BXI visit www.bxiexchange.com. One of the renowned movie producers in Hollywood is Steven Spielberg. Eight years ago his company, DreamWorks Television, aired its first hour-long promotion in 85 percent of the country in time slots generally unavailable to infomercial marketers. And his company did it without paying a dime for media. The program, “The Greatest Moments of the Olympiad,” was composed of vignettes from director and Olympics chronicler Bud Greenspan. It also offered Olympic memorabilia, such as posters and a book, and a video series on the history of the games as seen through the eyes of Greenspan. The package sold for $159.80 with a four-pay offer. DreamWorks swung a month-long roll-out, without paying cash for advertising time, by working with local stations who were offered 10 of the 14 advertising minutes within the hour program. DreamWorks used the remaining four minutes to sell its products. Bentley Commerce (OTCBB:BLYC) has launched an online trade exchange for Blackfunnel.Net, called Blackfunnel Trade. Bentley is providing its VirtualBarter software and will host and assist them to manage the exchange, plus provide customer service and a team of experienced barter consultants to teach members about trading opportunities. Two Atlanta-based companies plus barter company Secondary Capital Network, headquartered in Naples (FL), will soon be offering seminars to the business community of Atlanta, as well as other areas of the country, aimed at educating the local businesses about barter and various self-development programs. The Atlanta-based companies are Barter Consultants International, founded in 1998, and Freedom Builders which began in 2001. The latter company is a member-based business-networking club that focuses on self-development programs. Barter Consultants International, a trade exchange with 1,400 members, has offices in Atlanta, Hilton Head (SC) and Jamestown (NY). It was interesting to note a recent announcement regarding Perot Systems, that indicated the company expects much of the profit and revenue will be lost from its largest customer when a key contract with UBS expires in two years. The announcement was fascinating when one is aware of the business relationship between Perot Systems and the Union Bank of Switzerland (UBS). In 1996 Perot Systems, then a new computer startup with a famous person leading the company, was able to secure a contract to run the technology department for the Swiss financial giant’s investment bank and other units because of a Perot-envisioned barter offer. Succinctly, UBS agreed to a 10-year agreement because of an exceptionally good offer and extra-special service...but also because they were provided an option to acquire 7 million shares of Perot Systems stock at $3.65 a share, when the company went public. Perot Systems made such a barter agreement because they needed a substantial contract, and had to “outbid” their bigger rivals IBM and EDS. The UBS contract accounted for 25% of Perot’s revenue. Less than three years after the contract/barter agreement was signed, Perot Systems became a publicly traded company. On the second day of trading, its stock was selling at $61 a share—and UBS was holding a $400 million windfall! Founder Ross Perot fared exceptionally well on this barter deal with UBS too, as the agreement admittedly jump-started his new company plus his 38% stake was valued at $1.4 billion. TeleTrade International and its subsidiary eValues.net announced that Jacqui Macy will become president of both companies. 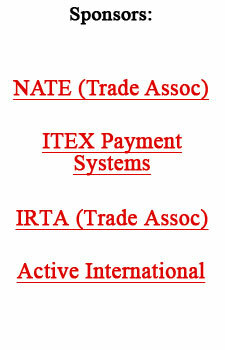 Ms. Macy has previously worked with BXI Exchange and the International Reciprocal Trade Association (IRTA). While with IRTA, she was the Director of Reciprocity for the Universal Currency Clearinghouse. Talks ended, after five days of wrangling, wherein the World Trade Organization’s 147 member states formally agreed on moving ahead with a new framework for the next round of talks. The World Bank says the agreements made in Geneva could help lift more than half-a-billion people out of poverty through increased trade and boost growth by injecting billions of dollars into the world economy. Bill Gross, who runs the world’s biggest bond mutual fund at Pacific Investment Management Co., predicts a big hedge-fund slump. According to Gross, hedge funds have been taking advantage of low interest rates to obtain borrowed money for boosting their performance. But as rates begin to rise, hedge funds will be exposed and returns will consequently suffer. The Direct Selling Association says direct selling is alive and flourishing. There are some 13 million independent direct sales people working across the U.S., accounting for $28 billion in retail sales for the industry. The number of full-time, home-based American businesses has risen 3.1% during the past five years to 9.9 million in 2004. But part-time home businesses—the sideline operations many people think of when they hear the term “home office” —has fallen 32% since 1999 to 5.2 million. For the first time since its birth in the 1950s, the number of households subscribing to cable is declining, according to Kagan Research. For an explanation of what’s happening, cable executives need only to look to the satellite industry. It has grown from virtually zero 10 years ago to 22 million subscribers—about a quarter of all U.S. homes that pay for TV. Last year personal bankruptcy filings in the U.S. hit an all-time high with more than 1.6 million. (A decade ago the figure was 875,000.) The increase is being driven by people in their mid-30s to mid-50s, many of whom have decades of work experience in white-collar jobs. In 2001, for example, per capita filings of individuals ages 45 to 54 increased 58%. The middle-age filings are attributed to less frugality than their Depression-era parents, soaring medical costs, an unstable job market, and years of aggressive credit-card marketing. Franchising of all sorts is booming in China, which leads the world in the number of franchise chains in operation...with 1,900 to second place U.S. which has 1,500. A new Iraqi home makeover show mirrors the United States’ “Extreme Home Makeover,” by rebuilding war-torn houses and filling them with furniture. Called “Labor and Materials” it airs every Friday over Iraq’s first privately owned satellite channel. The show is now supported by investors, but is considering trading advertising spots for housing materials.